Antonio Mak was renowned for his figurative cast-bronze sculptures in the hybrid forms of human bodies, horses, tigers and man-made objects. His works expose a keen interest in icons, symbolism and homonymic word plays, which articulate a return to humanism through the human body, and the particular socio-political situation of colonial Hong Kong. Along with the sculptural work, Mak’s rich body of drawings and sketches contain extensive explication and bold experimentation of the artist’s personal iconography. From 1971-1975, Antonio Mak studied painting at Goldsmith’s College, School of Art, University of London. Mak undertook studies in sculptures at the Slade School of Art, University of London and worked under supervision at the Bronze Foundry of The Royal College of Art in London 1975-77. In the late 1980s, Mak travelled to US for intensive training in the latest technical methodologies of bronze casting at the Johnson Foundry in New York. 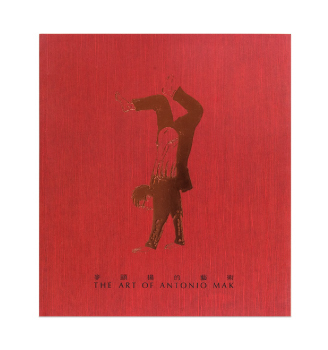 Mak’s solo exhibitions and retrospectives in institutions and museums include “Looking for Antonio Mak” (Hong Kong Museum of Art, 2008) and “The Art of Antonio Mak – A Retrospective” (Hong Kong Arts Centre, 1995). Mak was also a participant in the seminal self-organised group exhibition, “Out of Context” (1987), an important chapter in the history of contemporary art in Hong Kong. Mak was renowned for his small-scale figurative cast-bronze sculptures, which he meticulously created with the lost-wax method – human torsos, horses and tigers were first crafted in wax, allowing the artist a rare dexterity, and then cast in bronze. His works integrated both Western and Chinese styles in a very unique way. Mark’s drawings of human figures were probably made as sketches for future sculptures. However, the outlines are open and the drawing does not aim at delineating the human body’s shape. On the contrary, it is about unfolding it and finding its unlimited resources. The human figure is deformed and reassembled into biomorphic forms, imposing disorder on the observer’s gaze. Objects, or other bodies can all melt together in a metaphorical gesture. For the artist, the human body is more than a carnal layer. It is a moving form that cannot be measured, as it keeps changing by incorporating its own environment. In addition, Mak’s works on non-human bodies, e.g. horses and tigers, expose a keen interest in analogies, allegories and word plays. Like Aesop’s fables, Mak mobilises animal figures to elucidate certain universal truth about the state of human condition, or astute musings on the particular socio-political climate of colonial Hong Kong. 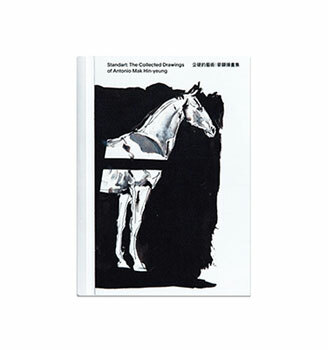 Mak adds to this a nuanced understanding of cultural difference, often manifested in the double meaning of the Chinese and English titles of his works.